Whether you are a beginner or an experienced runner, a treadmill can be an ideal tool to aid in training. Indoor workouts can keep you on track when the weather is bad or you are short on time. We will compare a few options for the best treadmill for under $300. Before you choose a treadmill, you will want to measure the space you have available for a machine. In addition to the size of the treadmill is the clearance required to the sides and back of the machine for safe usage. If you only have a small space in your home or office, you will not want to purchase a treadmill that is bulky or especially heavy. Foldable units are ideal for your in-home workouts as they will have a smaller footprint and can be moved out of the way between uses. The size of the running track is also an important measurement when choosing a treadmill. The recommended length will vary depending on your intended use. You will need a longer deck for running than what is needed for walking. The width of the belt is also important as your foot placement will change between walking and running. Treadmills have a wide range in costs and if you are not cautious, you can quickly find a unit that is over $3,000. These luxury machines will include top of the line designs, electronics and features. It is quite possible to find inexpensive machines that meet your needs and provide you ideal workouts in your home or office. In this article, we are reviewing the best treadmills for under $300. The features on a treadmill often increase with the cost. Inexpensive units will provide the most basic features including tracking your speed, distance and heart rate. One common place where you will see a large difference in features is the incline. Higher priced units will often have functions for automatic changes in incline, while lower cost machines will require you to manually adjust your incline degrees. You can decide which features you will actually use instead of paying for things you do not need. Motor power will typically dictate both the speed capability and weight capacity of a unit. If you are an experienced runner you will want to ensure that the treadmill you choose can reach a speed fast enough for your pace. For example, a machine with a maximum speed of 6.2 mph will allow for running a 9:41 mile, while a machine that reaches 9 mph will allow for a 6:40 mile pace. Many low cost machines have a weight capacity of 220 to 265 pounds. This information is easily available in the machine specifications, so keep this in mind if you are choosing a unit to begin your weight loss journey. 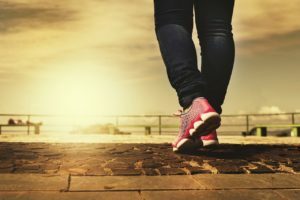 Walking and running are fantastic ways to get in shape. There are many benefits including weight loss, cardiovascular health, lowered cholesterol and mental health. Heart health is improved when your heart rate and breathing accelerates, causing increased blood flow to your lungs. A long-term benefit of exercising on a treadmill is a lowered resting heart rate. The large amount of calories burned while on the treadmill will aid in weight loss. Increasing the degree of incline will add resistance and raise your heart rate to burn additional calories. As with all exercise, endorphins are released during physical activity on a treadmill that trigger positive feelings. In addition to the release of endorphins, exercise increases the amount of norepinephrine and serotonin, which can reduce stress and depression. You can achieve many of these health benefits in as little as 30 minutes of daily treadmill use. Treadmill usage can also be lower impact on your joints. Cushioned running decks can limit the joint stress felt on ankles, knees and backs that is commonly associated with the heavy pounding on concrete. You are able to customize workout routines to match various terrains without the impact felt from hills and dense outdoor surfaces. Running indoors can increase the safety of exercising. 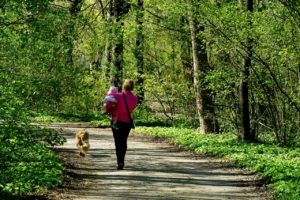 You will not need to concern yourself with uneven surfaces that are possible when running on sidewalks or nature trails. You also focus only on running instead of being concerned with traffic and other surroundings. Many treadmills include an emergency safety clip that can stop the machine in case of a fall. Running outdoors requires marked trails or additional equipment to track your distance, calories and pace. Running on a treadmill puts the controls at your fingertips to allow you to track your progress and keep you motivated. 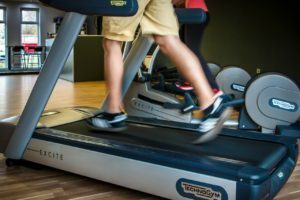 If you are new to running you may want to evaluate your technique to ensure that you are receiving all of the benefits of treadmill exercise. The Merax JK1603E is the perfect compact machine for in-home use. This electric treadmill easily folds up when not in use, and can be maneuvered using the rolling wheels attached to the bottom. The footprint of the treadmill is 25 x 45 x 58 inches. When folded up, the unit is approximately 25 x 25 x 51 inches. The machine weighs 70 pounds and has a weight capacity of 220 pounds. The 500W motor runs quietly allowing you to watch television or listen to music while you run without having to increase the volume. You will not disturb others in your home with this quiet treadmill. This is ideal for walking and jogging with speeds ranging from 0.62 miles per hour (mph) up to 6.2 mph. There are three levels of incline that need to be manually adjusted. The deck will not hurt your joints and provides cushioning to relieve stress on your ankles, knees and back. The safety key is also included to provide an emergency stop in case of a fall or other accident. A built in LCD screen allows you to track all of the details needed during your run. You can easily monitor your distance, speed, heart rate and calories burned. The screen is easy to use and features preset training programs and a manual program to personalize your workout. The preset programs are designed to increase the amount of calories burned and will improve your aerobic capacity by alternating between high intensity training and low intensity periods of recovery. In-home workouts are easy to complete with the Sunny Health & Fitness SF-T7603. The soft drop hydraulic system sets this unit apart from many other inexpensive machines on the market. All you have to do is release the pin and the mechanism allows the running deck to gently unfold, hands free, and without damaging your floors. When not in use, the unit folds up and includes wheels for easy portability. This treadmill can be easily assembled out of the box. All required screws, washers and Allen keys come included. The running belt lubricant can also be found in the box to get you running right away. Once assembled the treadmill is 62 x 27 x 47 inches. The machine is sturdy and weighs 103 pounds with a capacity to support users up to 220 pounds. The running belt measures 49 x 16 inches. The LCD screen displays calories burned, time, speed and distance. Heart rate sensors are placed on both handrails. The treadmill features handrail controls for speed adjustment, start, stop and heart rate. Also includes water bottle holders on the display. You can choose from 9 built in workout programs. Users can manually adjust the incline at three different levels to increase the difficulty of the run. The 2.2 HP Peak DC motor allows for speeds from 0.5 mph up to 9 mph. This wide range is ideal for walking, jogging and running. The Confidence Power Trac treadmill includes all the features you expect from an inexpensive in-home electric treadmill. You can easily personalize your runs through a combination of speeds, inclines and preset programs. The 600W motor works quietly and will not disturb others while you run. 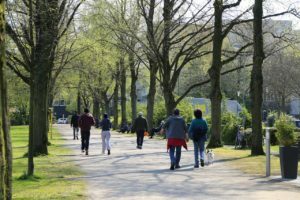 The speeds range from 0.6 to 6.2 mph, which is great for walking and jogging. There are four quick-select speed settings at 1.86 mph, 3 mph, 4.9 mph and 6.2 mph. The built in LED screen displays time, distance, speed and calories to help keep you motivated. You can access 12 built in fitness programs to customize your workouts. Manually adjust the incline at three levels including 5 degrees, 3.5 degrees and 2 degrees for varying levels of resistance. The emergency clip will stop the machine in the event of a fall or drifting too far to the back of the running belt. It has a user weight capacity of 265 pounds. This lightweight machine is only 52 pounds and when opened measures 49 x 24 x 47 inches. When not in use, it easily folds up to a compact 49 x 24 x 10 inches. The arms are also foldable and measure 22 inches. The running belt measures 14 x 39 inches. The ZELUS Folding Treadmill is an ideal modern machine for in-home use. This treadmill features Bluetooth capabilities to control the machine. Your fitness progress can be tracked through the iFitShow app, which is iOs and Android compatible. It includes an MP3 connector and dual speakers allowing the user to listen to your favorite music right through the treadmill. The cup holders are great additions for holding a water bottle, phone or MP3 player. The 750W motor provides speeds from 0.6 to 6.2 mph for simple pacing while walking or jogging. There are 12 preset programs to coach you through workouts. The LED screen displays calories, time, distance, and speed. The handrail sensors monitor heart rate. Also includes a quick start button, fast set speed keys, and control over preset distances and times. The red safety cord will provide an emergency stop to the treadmill incase of falls. Anti-skid side belts give your feet added traction if you need to step off of the belt. The unit is compact and measures 50.8 x 10.2 x 23.2 inches when folded up. The locking pin will ensure that the running deck stays firmly in place when not in use. Included front wheels make it easy to move. 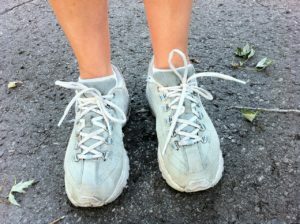 When in use, there is an additional pin to add support and stability while running. The unit is 48.4 x 19.7 x 50.8 inches when unfolded. The sturdy steel frame has a user weight capacity of 250 pounds. The 39.3 x 13.4 inch running belt is impact-resistant and anti-slip. The five layers are compression, noise-absorbing, shock-absorbing, noise-insulation and a base non-skid layer. The Lovinland treadmill will meet all of your exercise needs to be used at home or work. The LED panel and handrails can be removed, allowing you to turn this machine into a walking desk. This feature increases the versatility of the unit making it an exceptional choice for the cost. The quiet 500W motor produces speeds from 0.6 to 6.2 mph for walking and jogging at your desired pace. You can track your speed, time, distance and calories burned on the removable LED display screen. Unfortunately, there are no sensors for monitoring heart rate. The handrails are covered in foam to add comfort to your grip while in use. An emergency stop safety clip comes included in case of falls or slowing down. The durable frame is made of steel and can support users up to 220 pounds. The strength of this machine does not add weight or bulk. The treadmill weighs only 58.42 pounds. Also aiding in easy maneuverability are the included wheels. When not in use, this treadmill can be folded up and wheeled out of the way. The PVC running belt measures 13.5 x 39.5 inches. When assembled the treadmill measures 48.42 x 23.22 x 44.68 inches. All required assembly components come included in the box. If you are in the market for the best treadmill under $300 you cannot go wrong with any of the above five options. Though these are all solid choices for in-home exercise, we do believe that the ZELUS treadmill stands out above the crowd. The easy control achieved through the iFitShow app on your iOs or Android device gives this machine the winning edge. You can personalize your workout entertainment with the MP3 connection and dual speakers. The 12 preset workout programs add to the customization, with a wide range of speeds for walking and jogging. You can feel confident in the added comfort of the five layer cushioned belt for less joint stress. Additionally, the handrail heart rate sensors and controls are not standard on many of the other treadmills, which adds to the ease of use. We would recommend the ZELUS machine for your low cost treadmill purchase.